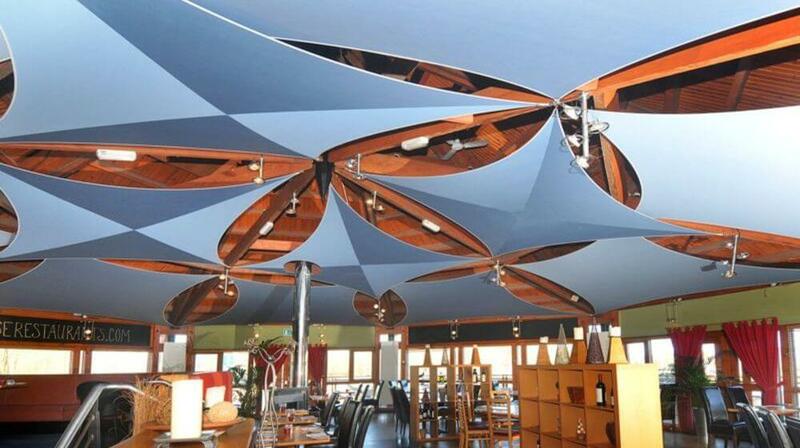 InShade has been engineered to make design, fabrication and installation of tensile fabric sails simple, quick and cost effective. 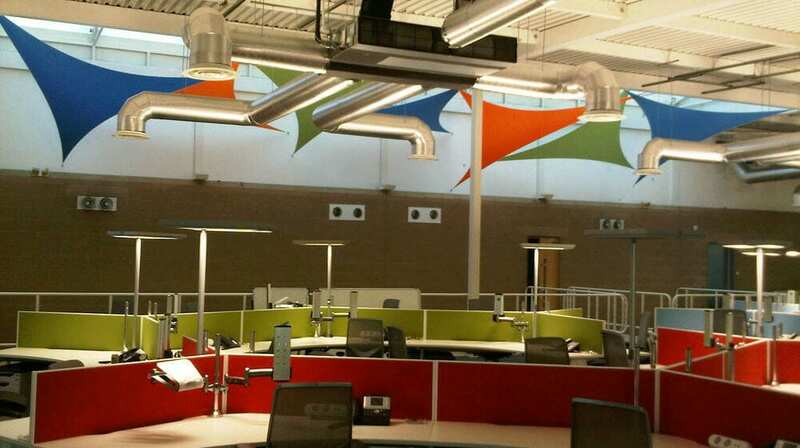 Learn more about our Heat Control & Acoustics Solutions. 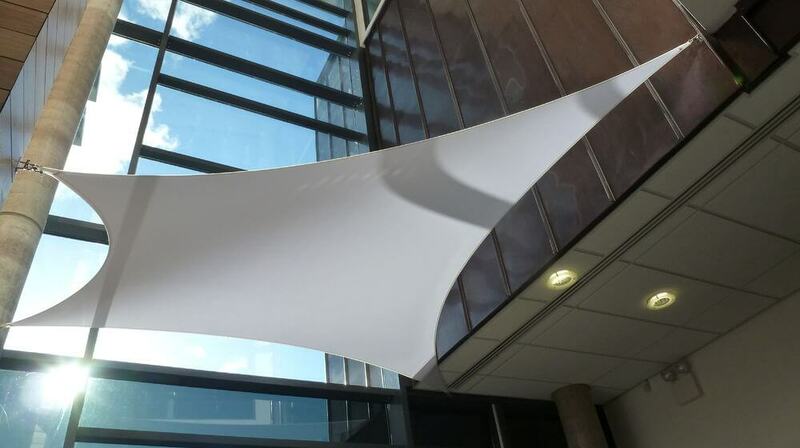 We have been simplifying cutting edge tensile structures since 2002, our latest offering InShade brings together everything we know to create our simplest product to date. Have a look at some the projects shown below and in our gallery and then call us to discuss your requirements. 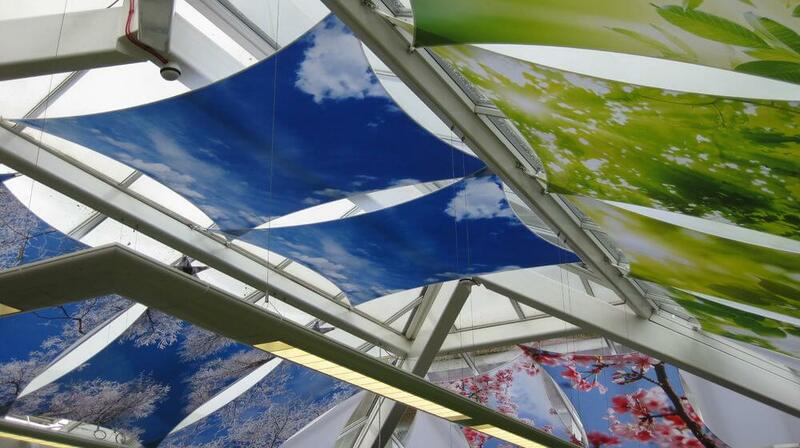 The low tension levels in stretch fabric sails can be used to reduce the sound reflected off of hard surfaces, softening the space and preventing echo. The Problem – A large atrium space was formed by closing two wings of a building. The space was used for social events, exhibitions, and presentations to large audiences. 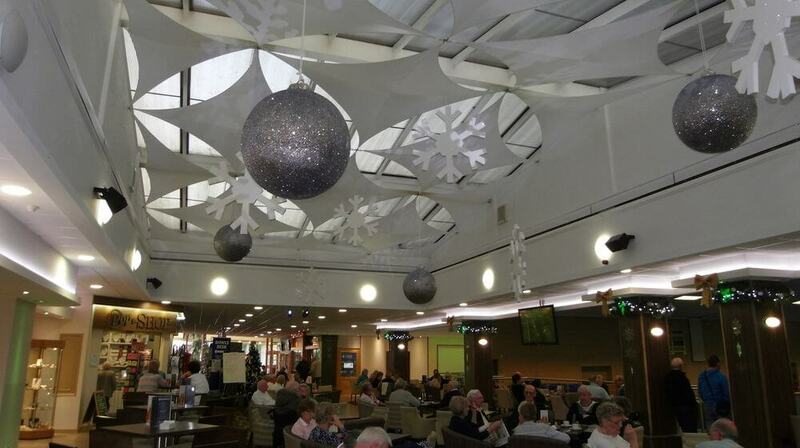 As well as large areas of hard surface the acoustic issues were exacerbated by a pitched glass roof which tended to focus the sound towards the centre of the room. 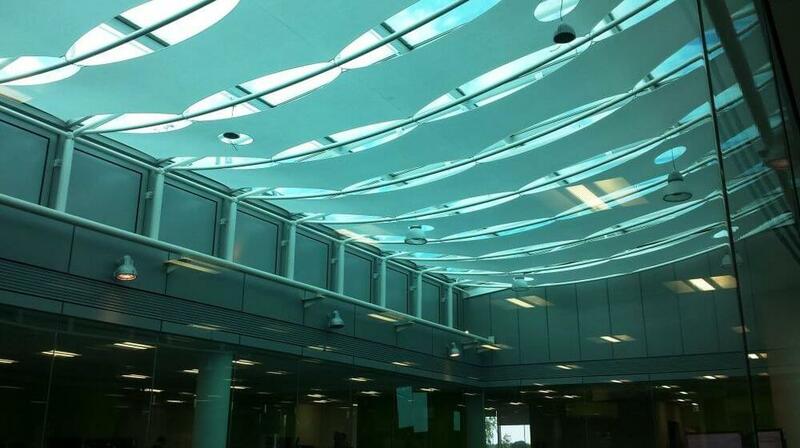 In addition to the poor acoustics this glazed roof caused excessive heat gain and glare. 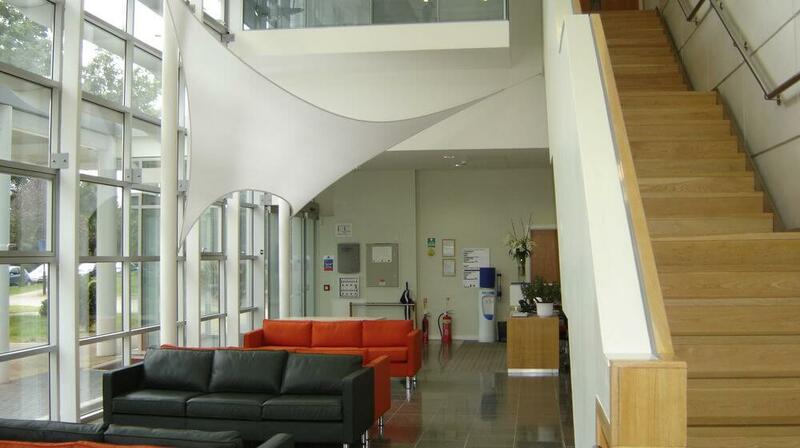 The Solution – The solution was stretch fabric acoustic wall panelling and stretch fabric ceiling sails. 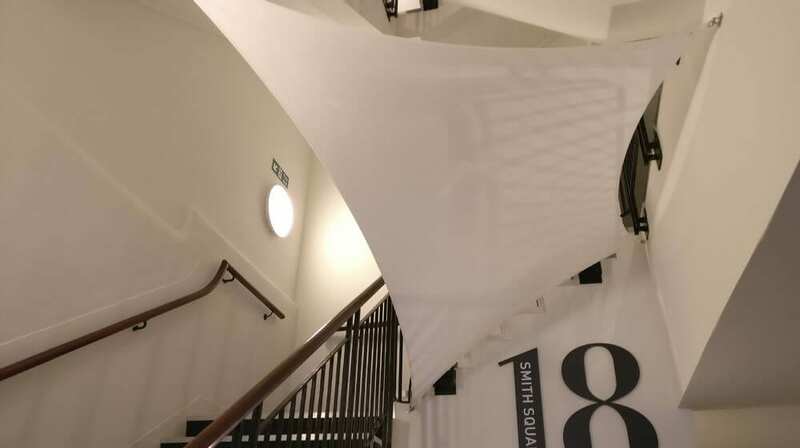 To target low and mid frequencies the face of the stretch fabric panels were positioned off the wall and backed with acoustic foam and a 60mm air gap. 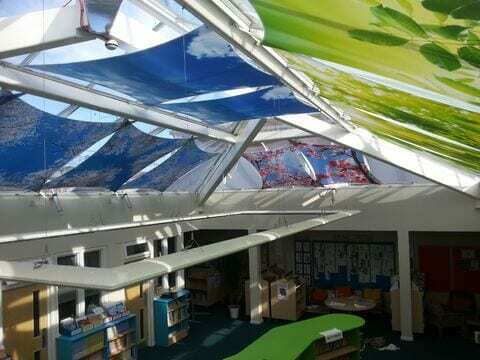 High level fabric ‘sails’ were installed to overcome the glare and excessive heating problems, these sails also act as membrane (panel) absorbers reducing resonance by low frequency noise. InShade now makes it easier to create the solution you want, providing the solar control you need while maintaining a light filled space with an open view. 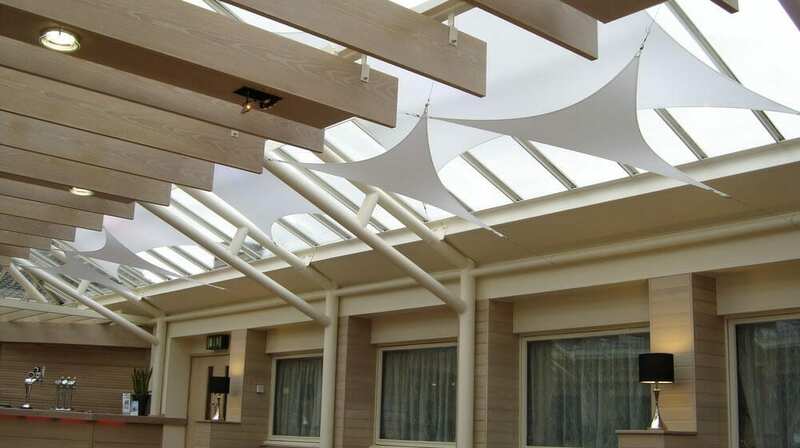 InShade sails are designed and manufactured in the UK, using solar control fabrics developed specifically for this application. 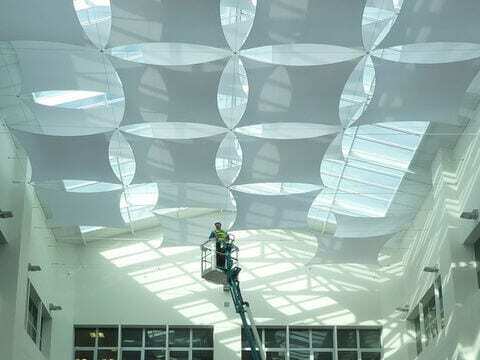 These fabrics have a dense fabric structure that blocks the harsh power of the sun, with most of the suns energy reflected as heat. However, around 20% of the light is refracted through the layers of fibres that make up the fabric. These fibres diffuse and filter this sunlight bathing the space below in a cool soft light. © Copyright 2017 - 2019 Shade Plus. All rights reserved.